City College will be facing financial deficits over the next few years, but there will be a projected increase after 2021. The fiscal services team is right at the beginning of its budgeting process, using five-year fiscal projections to glance into the future. 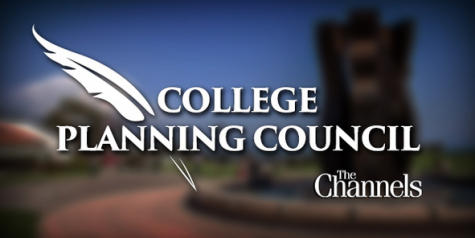 The college is being faced with large deficits, with a projected 1.5 million deficit this year. The deficit is projected to continue into the next year, only for the college to break even in 2021 or 2022 and continue with a 1 percent increase in the years after. Fiscal projections become less accurate the further ahead the projections are. “We knew at some point the governor was going to have to do something in the budget to address further stirs, things along those lines… the structural deficit would essentially go away after 2021,” Fiscal Services Controller James Zavas said. The deficits come at a time when enrollment numbers are dropping. As of Fall 2018, 16,177 credit students were enrolled. There were 20,232 students enrolled in 2009, roughly 10 years ago. This adds up to the total numbers of credit, non-credit, and non-resident students have dropped 23 percent since the 2009-10 year. 2009 was already seen as an “extreme year” as a result of the recessions facing the country at the time. Some enrollment numbers have gone up. 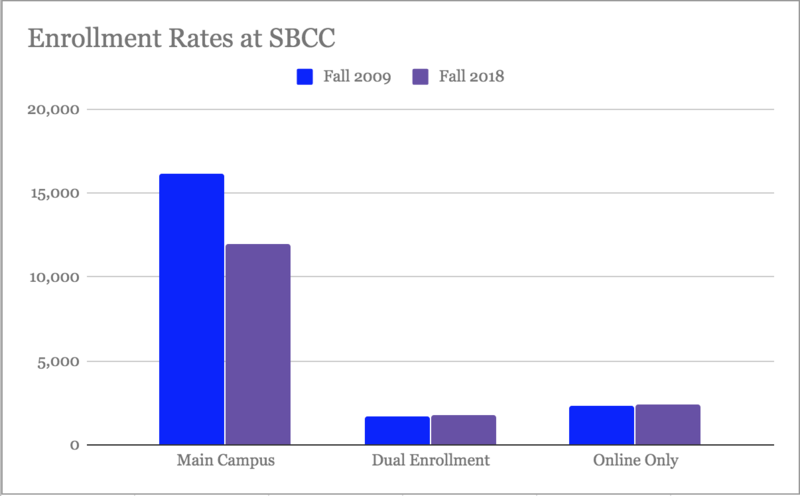 Dual enrollment students and exclusively online student rates have both risen by roughly 100 students each, but Main Campus students have dropped by 4,485. 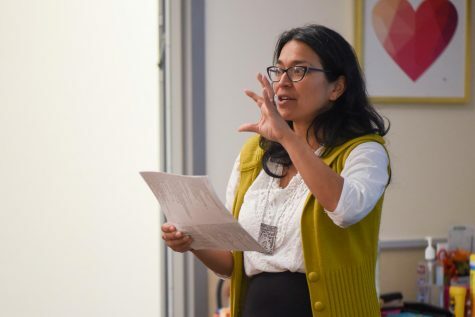 Zavas also reported that “international and non-residential students have declined, relatively significantly in terms of revenue.” Though City College is not the only institution to be facing these problems, it comes at a difficult time. With less money in the budget comes issues of dividing money throughout different departments. The Planning and Resource Committee has had to carefully consider departmental requests as a result of these budgetary constraints. One of the larger allocations is for new equipment for the college’s radiography department. 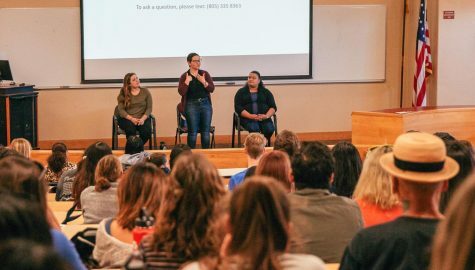 “It’s on a department-by-department basis, a great deal of scrutiny, conversation, discussion and ultimately, you know… it is a lot of discussion that occurs,” Committee Chair Katie Laris said. Another factor is student success. 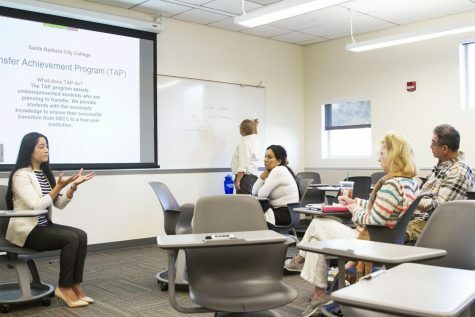 Though there are a variety of numbers that have decreased, such as a 1.5 percent decrease in those who transfer to four-year colleges, there has been a budgeted 8 percent increase in associate’s degrees for transfer. Additionally, there is a budgeted 3 percent increase in those completing transfer-level math and English. 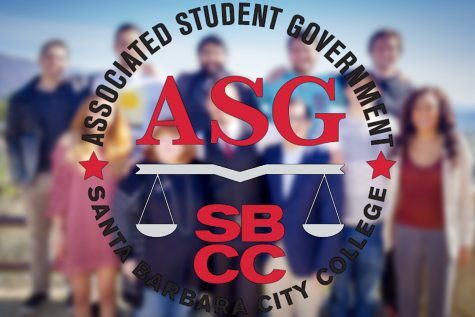 This increase comes at a time when the college is working to fully implement Assembly Bill 705, which attempts to limit the number of remedial courses needed before students can take transfer-level classes. The bill has been well received in the English department and has been implemented in the math department. While 2019 will bring its financial struggles for the college, the future is projected to bring less monetary difficulties with it.